To put things in perspective, the HTC HD2 achieved 4 hours and 30 minutes on the exact same test, while the Omnia HD (which uses a more energy-efficient AMOLED display) reached 5 hours and a half. Those both sounded really impressive at the time but fall a whole movie behind the Galaxy S.
The Samsung I9000 Galaxy S is probably the best mobile phone for watching movies on the go that we have seen. 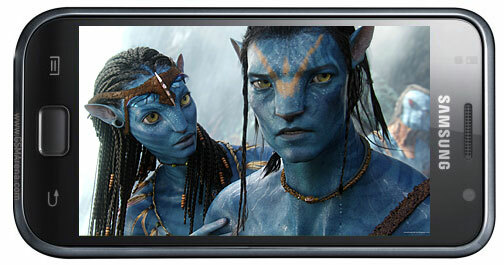 It has the best screen in business, DivX and XviD support out of the box and a long-lasting battery. Is there really anything else that you need?